NEW YORK, New York – All Mobile Video (AMV) is one of the country’s premier providers of end-to-end video and audio solutions for broadcast, entertainment, programming and events, with sound stages and studios throughout Manhattan, while also maintaining a fleet of mobile trucks nationwide. The company was one of the first to embrace high-definition video and keeps itself in the vanguard of broadcast technology, as evidenced by its recent purchase of HARMAN Studer Vista 9 and Vista 5 M3 digital mixing consoles for two of its broadcast trucks. The Vista 9 is being installed in AMV’s “Revolution” truck, a 53-foot double-expando trailer formerly known as “Resolution.” The Studer Vista 5 M3 is going into a 50-foot broadcast truck called “NYLA.” Both vehicles are being completely refurbished with the latest video and audio gear. Once back on the road, both trucks will be ready to handle any mobile broadcast situation—AMV has done production for the MTV Video Music Awards, the Metropolitan Opera’s live-to-theater broadcasts, the Macy’s 4th of July Fireworks Spectacular, the Victoria’s Secret Fashion Show and many other high-profile events. 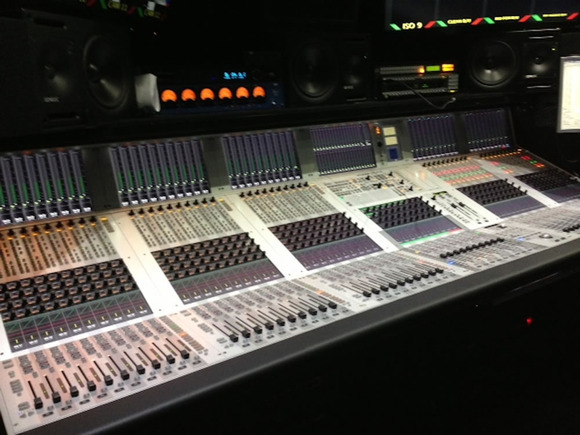 AMV has a long history with Studer, having purchased its first Vista 8 console eight years ago and being the first company in the USA to install a Studer console on a mobile truck. “At the time, it was a big gamble and we were making a real statement to the industry about our confidence in the product,” said Ian Vysick, AMV Audio Development Specialist. When AMV decided to upgrade the Revolution truck, the Vista 9 was AMV’s only choice. The Vista 8 formerly used in Revolution isn’t being retired—it’s being moved to one of AMV’s Manhattan sound stages. For Vysick, “it’s always been about the Vistonics™ touchscreen,” which places key control elements up front and displays everything in real time. He finds the FaderGlow™ color-coding to be invaluable as it allows AMV to configure all their broadcast and studio consoles with the same color-coding for the same functions. “From a user standpoint one of the most important attributes of the Vista consoles is that the controls are fast and responsive and don’t overshoot—on some digital consoles there’s a lag between the time you move a control and the time it responds, meaning that you’re always going back and forth until you get to where you want things to be,” Vysick pointed out. He also likes the consoles’ ability to momentarily gang select all inputs at once and make changes to all the selected channels instantly—a real timesaver for AMV when configuring a console. In the unlikely event Vysick might lose a fader or a screen, he finds the Vista 9, 8 and 5 M3’s repeating modular control layout—he calls it “sections of 10”—and dual redundant computers operating in real time enable him to configure the console live and in real time.